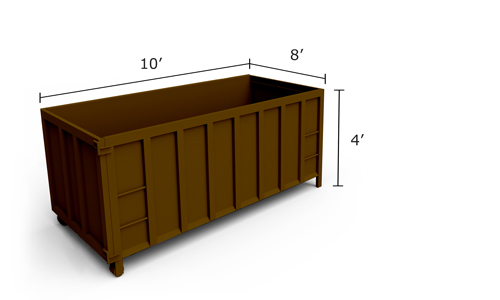 Penn Waste - Pittsburgh provides rental dumpsters that are perfect for residential use. 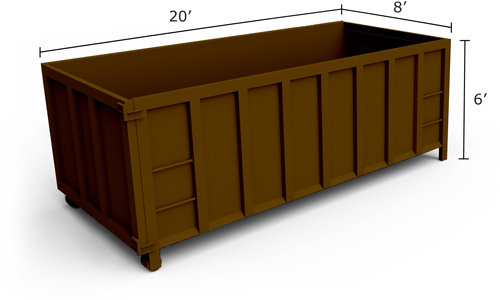 Our smaller rental dumpsters can be placed close to your cleanup area and are small enough to fit on most driveways. Major clean-up projects frequently create more rubbish than can be included in the weekly garbage or even hauled to the dump in a pick-up truck. Renting a roll-off dumpster is an efficient, economical way to handle extra trash when you clear overgrown landscaping or vacant lots, demolish the old work shed in the back, tear off an old roof or clean out the garage or basement. Use our dumpsters to clear out all areas of your home. 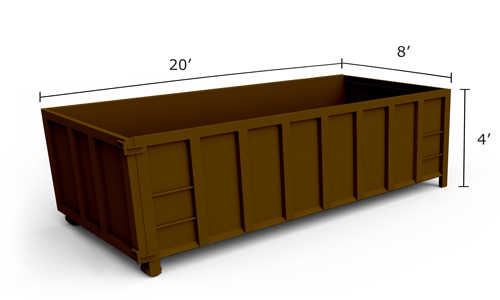 Use these illustrations to decide which size of dumpster is the best fit for your project. 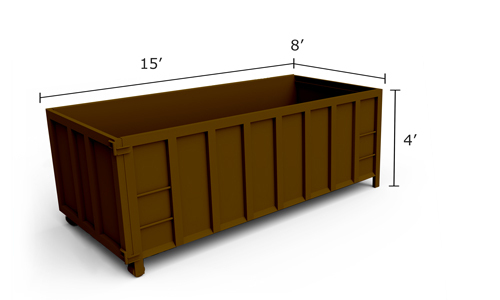 These illustrations may not represent the exact dimensions of every dumpster we have in our inventory. Still not sure which size you'll need? Think you'll need multiple dumpsters? Contact us below and we'll provide a custom solution for your needs.